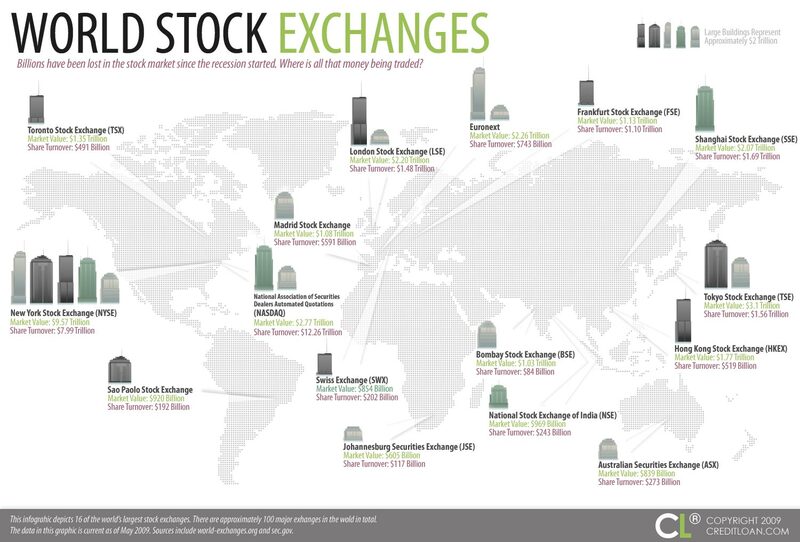 Details about the different stock markets all around the world. Where all that money gets traded around and, lately, lost! 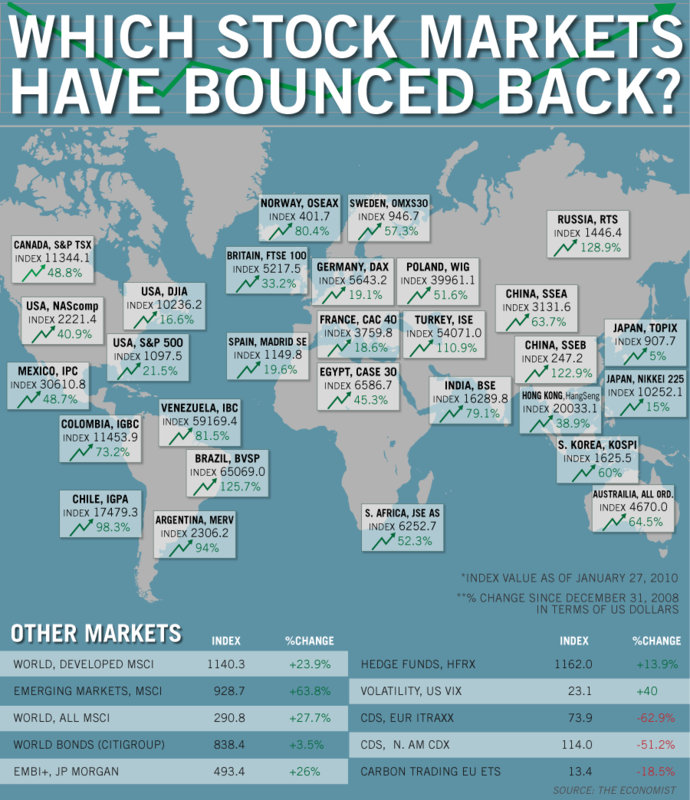 A comparison of stock markets and their growth since 2009.